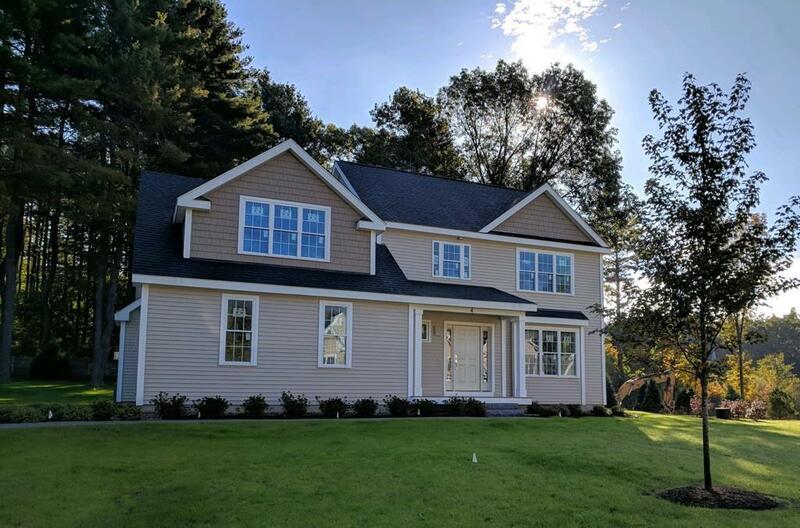 NEW CONSTRUCTION -This beautiful 4 bedroom, 2 1/2 bath contemporary colonial offers an open floor plan and quality throughout. The spacious and sunny kitchen features white cabinets, quartz counter tops, subway tile back splash, center island, dining area, hardwood flooring, and stainless steel Energy Star appliances. The kitchen opens to a family room with gas fireplace and vaulted ceiling. Dining room, living room and powder room complete the first floor. The second floor includes large master suite with sitting area, walk-in closet and luxurious master bath with tile surround soaking tub, tiled shower and double vanity. There are three generous guest bedrooms, a full bath, and laundry. The full basement offers plenty of space for storage or potential additional finished living space. This thoughtfully designed home with large private yard is perfect for entertaining and outdoor living.